North Carolina Group Buys 28 Deep Ellum Properties. Retail Options And Other Changes Could Be Coming To Deep Ellum — But Not From The Faces With Which You’ve Become Familiar. With the purchase of 28 buildings in Deep Ellum, North Carolina-based investment group Asana Partners is now one the biggest properties owner in the neighborhood. Asana purchased those properties from 42 Real Estate in a deal that was announcerlier this month via a Dallas Morning News report. Scott Rohrman, the man behind 42 Real Estate and the person most often credited for much of Deep Ellum’s recent transformation from empty neighborhood to thriving cultural hub, sold the 28 properties to Asana from a collection of 50 that he began acquiring around the neighborhood starting in 2012. Rohrman’s group will hold onto its remaining properties in the area. Rohrman told the DMN that his decision to sell to Asana was because of its focus on retail in its own property development. The sale of the properties represents a shift from Rohrman’s hands-on approach to revitalizing the area. His involvement led to some of the most noticeable changes to the area, like the commission of 42 murals around the neighborhood and his helping to recruit popular businesses such as Braindead Brewing, Dot’s Hop House & Cocktail Yard and Pecan Lodge to the area. (All three will now be Asana tenants.) But now, renovations and improvements to common areas and walkways will be squarely in the hands of the North Carolina investment group. So what exactly does that mean for the area’s future? Well, Asana’s focus is squarely on expanding retail markets, and specifically in urban cores. Since its formation just two years ago, the investment firm has been making moves all around the country, using its $500 million fund to purchase properties in Atlanta, Washington D.C., Austin and Charlotte. Asana’s strategy centers on creating foot traffic by expanding the types of tenants it serves. In other words? It’s likely that Asana could look to bring a wider array of offerings to the neighborhood, like gyms and more shops, rather than restaurants and bars, of which there are already plenty in Deep Ellum. Given that several of the spaces it purchased from 42 Deep Ellum LP are still awaiting renovation, it’s likely too that Asana could begin the build-outs on those spaces specifically so as to recruit certain kinds of tenants. 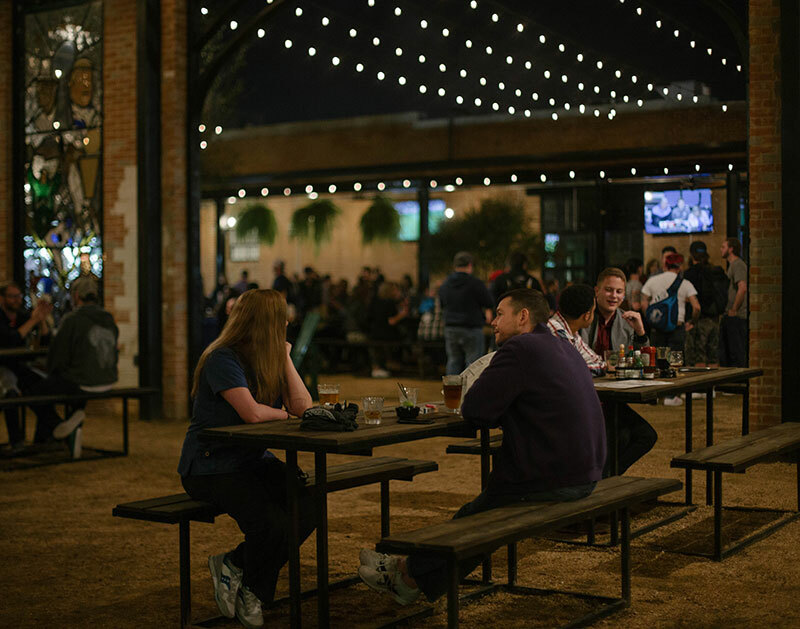 For an area that has been catching a lot of heat for the ongoing crime spike, focusing less on nightlife options in its businesses might not be the worst idea. Still, with Asana operating out of North Carolina and not in the same on-the-ground as 42, any guesses as to Asana’s plans for Deep Ellum are just that — guesses. Adding to the intrigue? It looks like Asana has designs on adding to their Dallas portfolio beyond Deep Ellum, too. Dot’s cover photo by Ashley Gongora. Previous ArticleIt’s Not Easy Being A Dallas Cowboy. Next ArticleThe Story Of A Ghost Story.